Upbeat is one of our best selling formulas and one of my personal favorites. That is because almost all of us have had an experience with stress, anxiety or mild depression. Life happens. 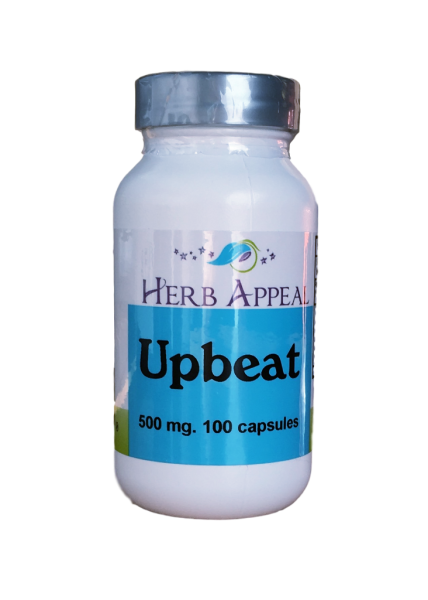 Upbeat is our formula to help with these occasions. It has St. John's Wort, known for thousands of years to be a mood booster and mild antidepressant. Valerian root has also been used for thousands of years to help with insomnia and anxiety. Skullcap is known to soothe the nervous system,reduce inflammation, and balance hormones. With 15 more ingredients this formula is masterful in helping you to feel your best.